In a perfect world of publishing, I would be able to write my novels, polish them up, and get them to readers wherever they wanted to read them, all without a lot of effort. Right now, our publishing world is not like that at all. Once I have finished all of my edits for a novel, there are many obstacles between me and interested readers. There are technical obstacles, such as formatting, but there are also obstacles that are created by the independent publishing distribution platforms. Those obstacles reduce the availability of my books to readers, and much of this is the fault of Amazon. Amazon takes a very competitive approach to building their library of electronic books. Their Kindle Unlimited program mandates that the electronic edition of a book only be available through Amazon for the Kindle. As a result, it is not possible (while complying with their terms of service) to offer a book to readers who want to read it in Kindle Unlimited and at the same time make it available to readers who want to read it on the NOOK platform, or the Kobo platform, or the Google Play Books platform, etc. Read on for how this affects you and me both. When I first self published a novel, Lesson One: Revolution!, the very first "platform" that I use was print, which I naively hoped would make it out to book stores and libraries. After an interested reader told me that he would not read that novel unless it was available for the Kindle, I made it available on the Kindle platform. It took me a while to get it distributed to other platforms, but at least at that point there were no exclusivity requirements that sequestered books into a vendor-specific subscription reading service. Contrast that with my most recent release, KINRU, which is only available for the Kindle. I would like to make it available to readers in Kindle Unlimited, but I would also like to make it available to readers who use platforms unrelated to Amazon. I can't. The good news for readers is that there is a way around this sort of limitation. It's not convenient, so it's not great news, but it's better than nothing. If a reader does not want to use a Kindle or a free Kindle app to read KINRU, they would still need to purchase it from Amazon (as an actual purchase, not a borrow through Kindle Unlimited), but once that purchase is complete there are a couple ways that they could get a copy for the e-reading platform of their choice. They could even get it as a PDF that would allow them to print out a copy if they really want to read it on paper. The first method would be to use free software that converts the book from one format to another. I do not apply DRM to my books, so software that converts book formats will not have that obstacle and should be able to convert the book into an EPUB file. 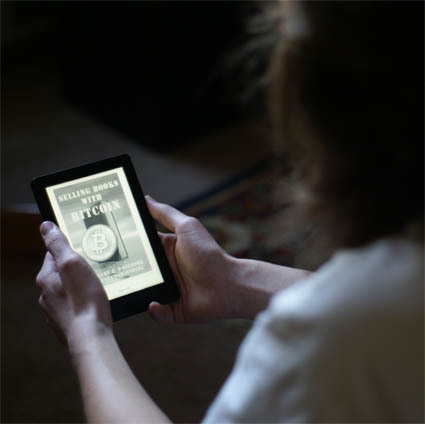 Once in EPUB format, it will be compatible with most other modern e-reading devices and apps. The other way to get a non-Kindle copy, after purchasing the book from Amazon, would be to provide me with proof of that purchase, after which I can provide a converted copy. I have not yet decided if I will release a print edition of KINRU, and if I do it will probably need a different cover. The cover I have for it is only for the front and does not include the spine or back. As long as it is in e-book form only, it does prevent reaching readers who prefer print editions. I think, as a novella, this is of less concern than the lack of availability on other e-reading platforms, i.e., being able to purchase the book directly from Barnes & Noble for the NOOK, or purchase it directly on the Kobo platform. At the moment, I am treating it as a special title for Kindle Unlimited, and the fact that it is not part of a series should reduce the impact on readers. It's not like there is a book missing out of a series, or a whole series trapped inside the Amazon exclusive requirement. We have a long way to go before we reach a perfect publishing world. In the meantime, some readers will always be left out, and authors will be frustrated as they try to maximize their reading audiences. People who only read print editions are missing out on countless e-book only titles. Readers who strongly prefer to read books via Kindle Unlimited are missing out on a vast quantity of books that are not available through that program. Those who prefer to read e-books that are not sold by Amazon are missing out on all of the Amazon-exclusive titles in Kindle Unlimited. This situation doesn't serve readers, and it doesn't serve authors. Who benefits? I'm sure you don't need me to answer that. If you're a reader who is frustrated by not being able to read a certain book the way you want, you can complain to the author... but remember, the author's hands are tied. They literally cannot serve all interested readers, at least not without violating a contract (i.e., Amazon's TOS). At best, complaining to the author might convince them to publish a print edition of a title that is only available as an e-book, or (like with my first novel) convince them to publish an e-book edition of a print-only book. Complaints about lack of availability through a certain e-reading platform need to be directed to those who can change the situation. Authors like me, who can't change the situation, will appreciate your patience and understanding about the choices made for which readers to serve and the fact that such choices are unavoidable. Stuart J. Whitmore is an author of fiction and nonfiction, as well as a photographer, technology developer, and more. If you enjoy reading his blog posts, you might also enjoy reading his books. Take a look at the books by Stuart J. Whitmore today, and download your copy of one that looks interesting to you!